AND THE GUESTS ARE WOWED! 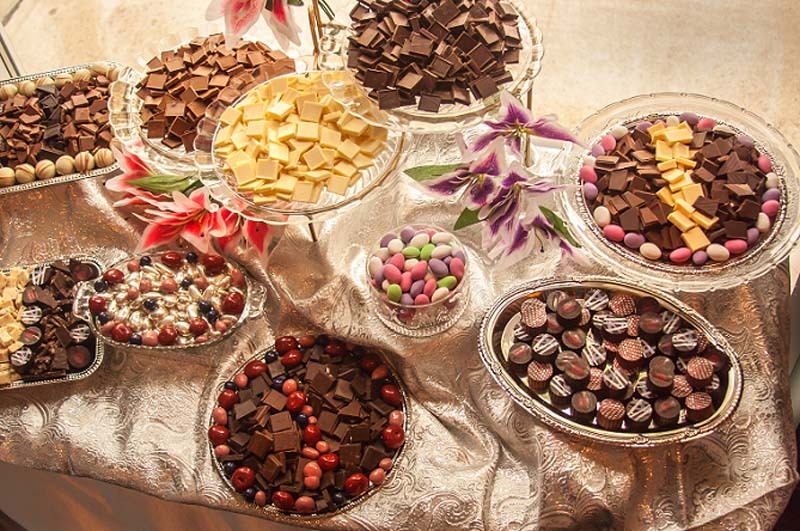 Make your event as special as possible with our Gourmet Chocolate Bar. At least eight varieties of chocolates with a staff member there for the evening to enhance the chocolate experience. A truly unique addition to your party! 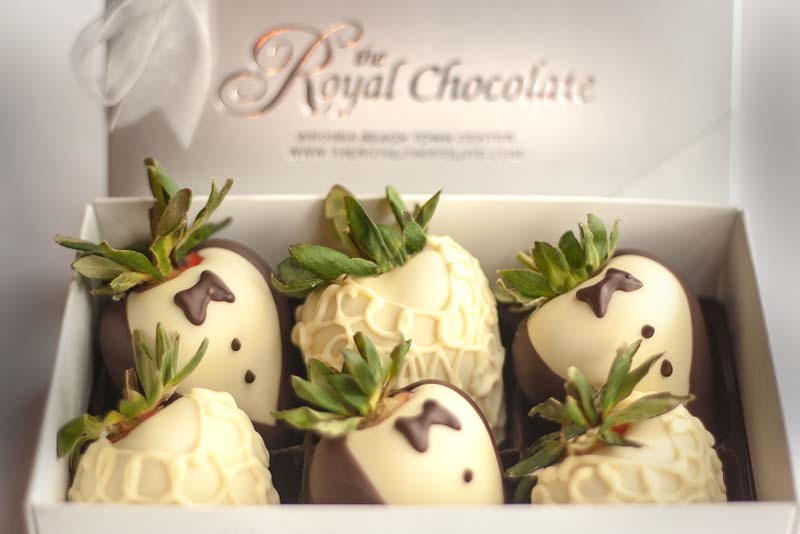 These delicious large berries are dipped in Belgian chocolate and then dressed for the party! 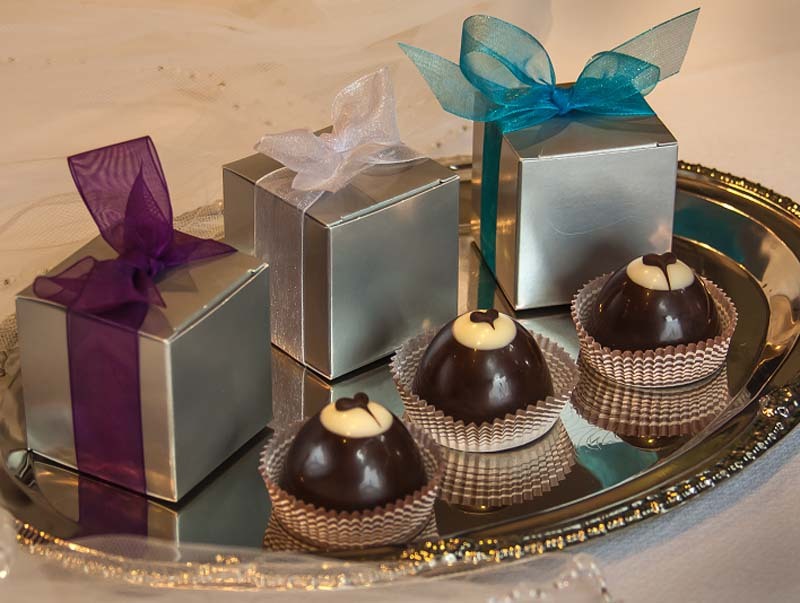 They can be arranged in a gift box of 6 or 12, packaged individually, or presented on a platter. No matter how they show up…they are always a hit! IT’S THE GROOMS DAY TOO! Treat the special man to something just for him. 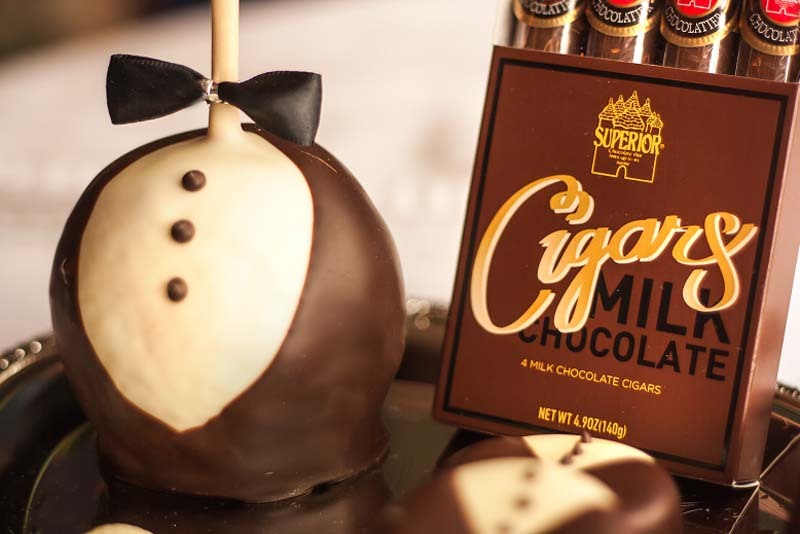 Chocolate cigars, a tux wearing Gourmet Apple, or some of our fabulous liquor filled chocolates. He’ll feel the love! Bring us a favorite wine (or any other spirit) and we’ll help you send your message! 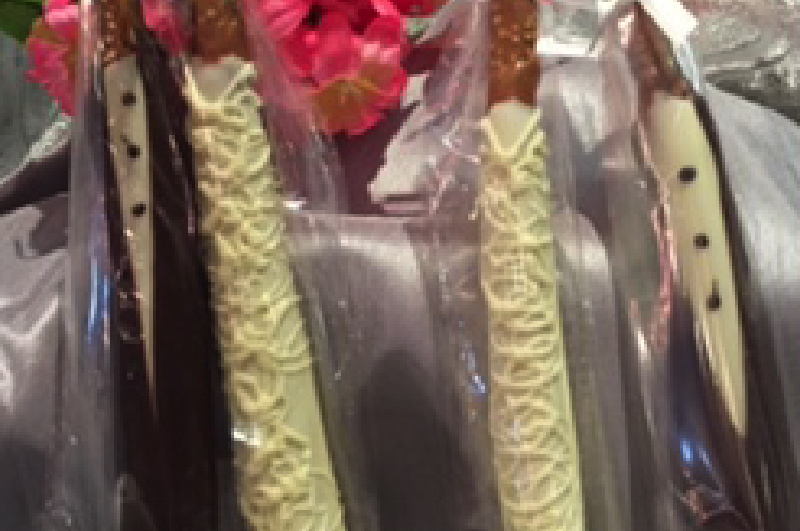 The bottle is wrapped tightly in plastic, dipped in dark chocolate and you message is added in white chocolate. It’s then beautifully gift wrapped in cello with a stunning bow on top! 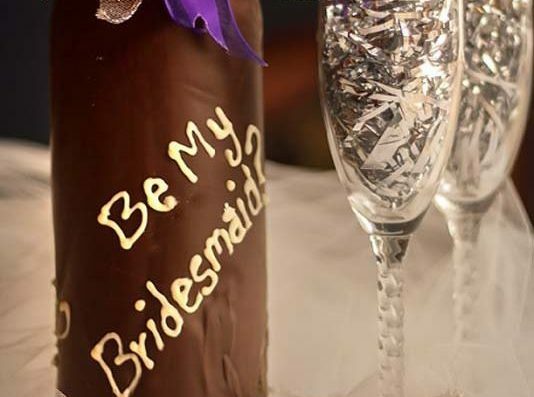 What a great way to say thanks to parents, members of the wedding party, or your event planner. 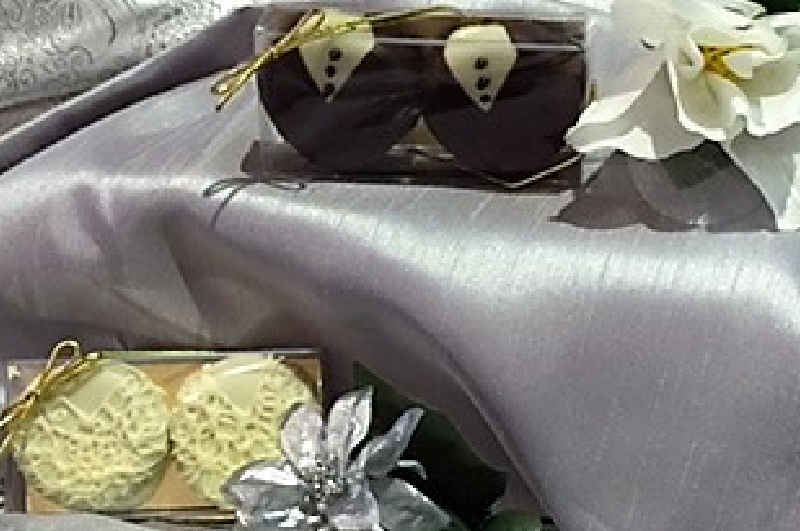 The perfect gift box of bride and groom Oreos in a pretty silver box. These LeGrand Truffles are not only exquisite but delicious! 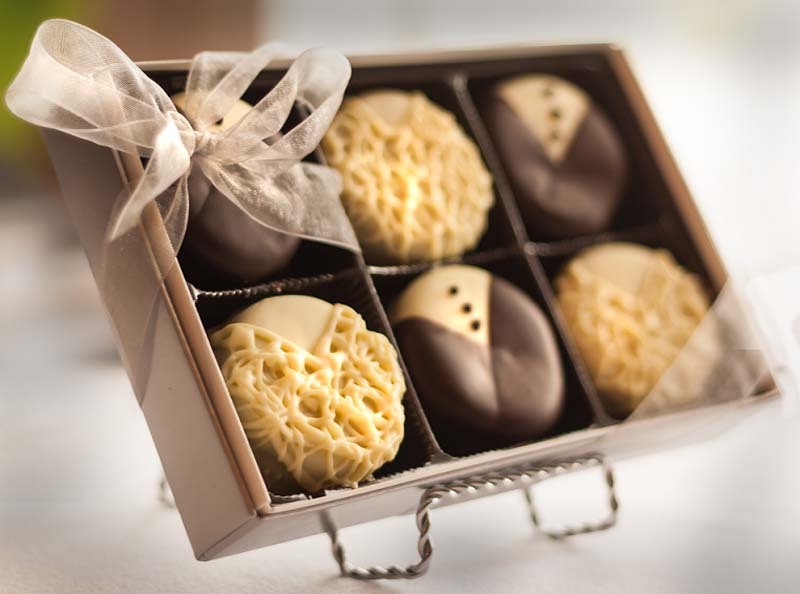 Rich and creamy white chocolate centers are covered in dark chocolate with perfect heart design on top. A wonderful “take home” for all your guests. Make your special day a reflection of your life. 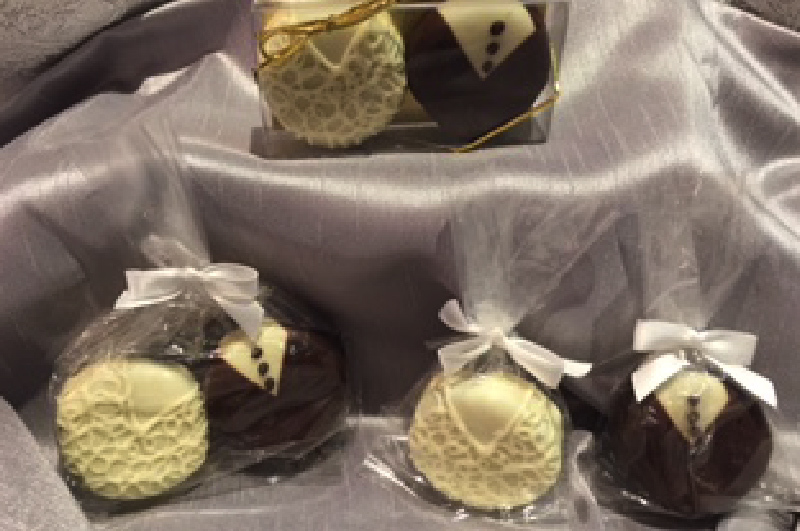 All of our wedding items can be packaged to suit you and your partner. Our Oreos can be packaged in any combination! 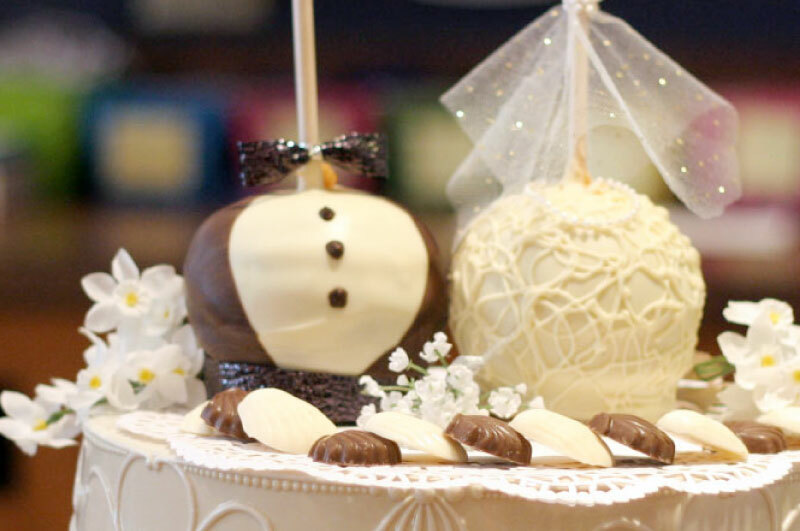 Brides and brides…grooms and grooms. OREOS MAKE A CUTE COUPLE! Oreos can be all dressed up for the ceremony too! These perfect little pairs can be packed together or individually and make wonderful party favors! Have some at every place setting for a very unique surprise. This Royal Couple can be used as a centerpiece at the shower or rehearsal dinner, a wedding gift, or even to replace the cake at smaller weddings! 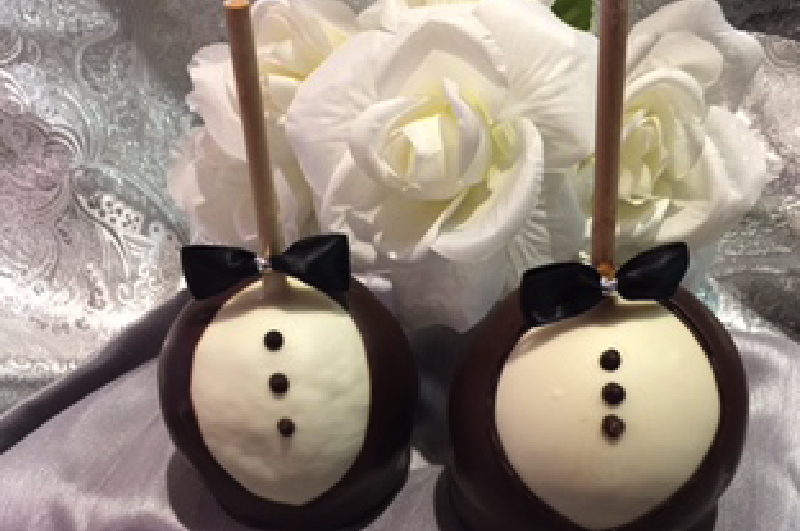 These pretzel rods and first coated in lucious caramel and then dipped in Belgian chocolate and turned into these adorable couples. For more information on pricing and packages, please click here.